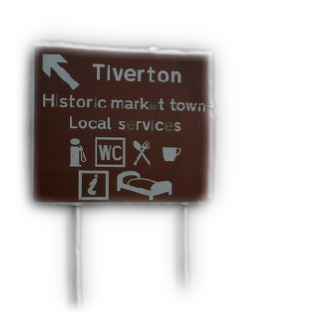 Tiverton lies off the A361 Atlantic Highway. This recently built road is fantastic for Devon and takes the huge volume of tourists and deliveries to North and West Devon. Unfortunately, we in Tiverton have lost business because of it. We need to grab those visitors to the area and remind people we are here. Basic marketing is needed. Signage works, people need to know we are here. Good signage from the A361 which talks of Tiverton as a hub for independent shops and a great base to explore Mid Devon are needed. It’s innovative in that we need to market Tiverton. We have been around for so long in the heart of the community that we can get overlooked or written off. Tiverton is full of events, has great shops and a great town centre and we need to market that to visitors to the area and draw people to us. We also need to remind locals that we are here and with the price of petrol its better to stay local. Its greener and cheaper! Great Signage, supported by promotion will do that. Initial discussions with the council re. replacing some signs. We are trying to establish the timetable for when signs get replaced and then we can work with all the councils to see if we can influence these. We have also received some initial quotes for updating some existing signs. Lastly, we are linking the signs to the town brochure, under the Voucher Scheme aim. This will ensure that our signage, directions and messages are all consistent.